Kubota GF1800E right mower drive pulley. John Deere M75144. 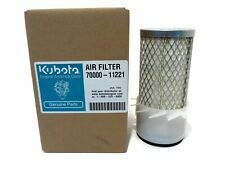 New OEM Genuine Kubota Air Filter. BX1800, GR2100, GR2120, ZD18, ZD21. OEM Parts Included: (1) HH150-32430 - Engine Oil Filter. Fits Models: BX1860, BX2360, BX24, BX25, BX1850. Kubota: G2460 lawn tractors and BX sub compact tractors; requires 3 for 60" deck. Kubota: K5371-34340, K5371-99040. Fits Models Our team works hard to find you the best deals and provide you with a wide selection of products. Kubota BX1860, BX2360, BX24, BX25, BX1850, BX2350, BX1830, BX2230, BX1500, BX1800, GR2100, GR2120, ZD18, ZD21. 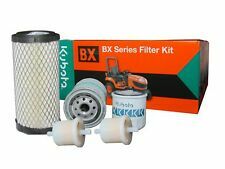 Genuine OEM Kubota Filter Maintenance Oil Kit. (1) HH150-32430 - Engine Oil Filter. (2) 12581-43012 - Fuel Filter. 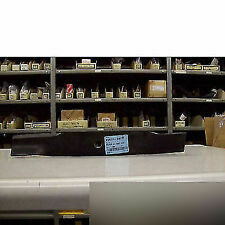 OEM Part # 1030L, 1035, 1040, 205, 205-4, 210, 210-4, 220. Massey Ferguson L235, L2350, L245, L245HC, L2500, L295, L305, L345. G4200, G4200H, G5200H, G6200H, L175, L185, L2050, L225. 1 08101-06205 bearing # 20 on the drawing. KUBOTA 76529-34330. LENGTH: 18-11/16". Fits Models: G1800, 1900, & 2000 SERIES. WINDSOR 50-4490. ZD321; ZD326. 4 Deck Wheels For Kubota Mowers. KUBOTA K5668-42100. SEE BELOW FOR DETAILS. H30T, SERIES GR, ZG200, ZD200. KUBOTA K5576-34350. Fits Models THICKNESS.250". Benefits of the HXT blade are sharper and longer lasting cutting edges. More resistance to bending. By the way they are made in the USA! XHT BLADES. Kubota MOWER DECK: RCK54-23ZG. 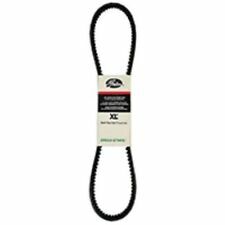 Kubota MOWER DECK: RCK54GR. Kubota: K5351-34342, K5351-99040, K5619-34350, K5619-97530, K5935-34360, K5935-97530. Fits Models: 54" Decks. Canceling Your Order. We recycle! H30T, SERIES 2G127, ZG23, GR2100/2110, BX-RCK54P. KUBOTA K5617-34330. Fits Models THICKNESS.250". XHT BLADES. The XHT blades are made with MARBAIN which is what makes them THE BEST BLADE ON THE MARKET! Kubota ZERO-TURN: ZD25 (with RCK60P-28Z mower) (Qty: 3). Kubota ZERO-TURN: ZD321 (with RCK60P-331Z mower) (Qty: 3). Bore: 12 mm Tread: Smooth. California Prop 65 - This product can expose you to certain chemicals, which are known to the State of California to cause cancer or birth defects or other reproductive harm. Kubota FG1800E hydrostatic drive shaft. Condition is Used. Shipped with USPS Priority Mail. Connects from engine crank pully to hydrostaic pump. Good u-joints smooth and move freely with no play. Two holes to mount cooling fan. REPLACES KUBOTA. Kubota FRONT MOWER DECK: RCK60-F36. Kubota MID-MOWER DECK: RCK60P-21Z. Kubota MID-MOWER DECK: RCK60P-28Z. Kubota MID-MOWER DECK: RCK60P-331Z. 3 BLADES FOR 60" CUT. 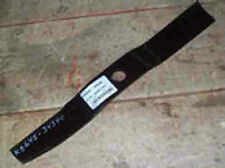 OEM Kubota v belt fits the following models. Genuine Kubota oil is specifically designed for Kubota industrial engines to maximize the life of your engine by lubricating, cooling, and cleaning all at once. We recycle! These blades are made by Rotary Corporation and are very high quality USA made blades. Brooks AG Parts is in no way affiliated with any product manufacturers including John Deere, Kubota, New Holland, Alamo Group and its subsidiary's, Darrell Harp / Big Bee, Kodiak, King Kutter, Tarter Gate, Woods, or any other manufacturer. 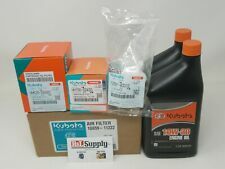 Kubota K5351-34342 K5351-99040 K5619-34350 K5619-97530 K5935-34360 K5935-97530. Why buy from EPR Distribution?. We recycle! Kubota K5763-34710, K5763-34711. Kubota MID-MOWER DECK: RCK60-24B. Kubota MID-MOWER DECK: RCK60-27B. Kubota MID-MOWER DECK: RCK60-30B. Kubota MID-MOWER DECK: RCK60B-22BX. Kubota MID-MOWER DECK: RCK60B-24G. 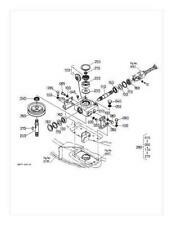 Kubota GF1800E mower deck Wheel yoke. With wheel and tire, tire holds air but is worn see pictures. Condition is Used. Less vibration prevents premature component wear Precision sharpened cutting edge for a cleaner, finer cut. Austempered to exacting Rockwell specifications as set forth by Kubota engineering Made from High Carbon 10B38 steel for long lasting performance and durability. NEW KUBOTA KEY SWITCH 1E013-63590. Trending at $53.09eBay determines this price through a machine learned model of the product's sale prices within the last 90 days. Canceling Your Order. We recycle! This Kit is Designed to fit ONLY the Following Models: ZD25 and ZD28 and their "F" Models. 1 - HH150-32094 Engine Oil Filter. This filter kit is only designed to work ONLY with the models listed above. OEM KUBOTA DIESEL FUEL FILTER 12581-43012. Fits the following Kubota models. Use this handy kit to rebuild the spindles on your Kubota deck. 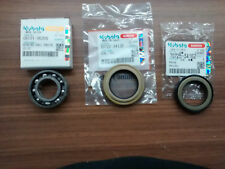 These are OEM Kubota seals and bearings. Order 2 or 3 and do your whole deck. 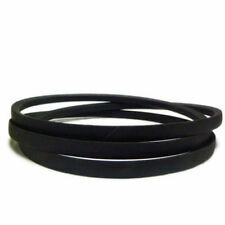 These seals and bearings are used on many Kubota decks. Fits the following Kubota models. This kit fits BX24 BX25 BX2230 BX2350 BX2360 BX2370. 1 - HH150-32430 Engine Oil Filter. 1 - K1211-82320 Air Filter. 1 - HHK20-36990 Hydrostatic Transmission Filter. If you mount it you bought it. NHS This wheel is aN on H ighway S ervice WHEEL. 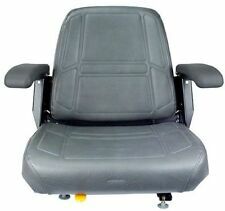 Fits the following Kubota decks. Kubota RC48-62A RC48-62-F RC48-62H RC54-24B RC54-71B RC54-B RC54-G20 RC60-21B RC60-24B RC60-71B RC60-B RC60-G20 RC72-B. Why buy from EPR Distribution?. We recycle! kubota W5019 Mower Engine Shroud,cover. Condition is Used. Shipped with USPS Priority Mail. New OEM Kubota Oil Filter. You are responsible for verifying the OEM part number. Quality OEM Part in Original Factory Box! Did you check your OEM part number?. First-Class and Expedited services available. 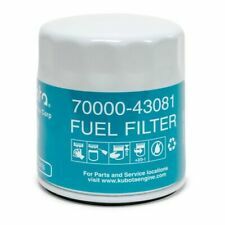 GENUINE OEM KUBOTA HH150-32430 OIL FILTER. THIS IS A KUBOTA SUPERCESSION. New OEM Kubota Gearbox Gear Set K5617-33370. Fits the following Kubota decks. Set of 3 Oregon G6 Gator Mulcher Blades for 54" Kubota. Set of 3 Oregon 396-812 G-6 Blade Replaces Kubota: K5351-34342, K5351-99040. Replaces Kubota Part Numbers Blade Specs Center Hole: 7/8".